With firm commitment to quality we are providign a comprehensive range of Aluminum Partitions. 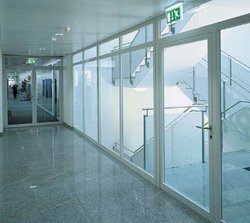 All these partitions are manufactured under the close supervision of our experienced professionals. To ensure safe transit, we pack these partitions in premium quality packaging material. Looking for Aluminum Partitions ?